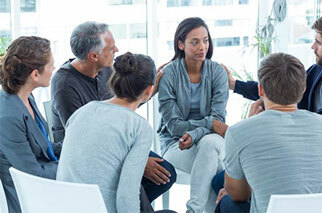 An eight-week group for adults coping with the death of a loved one. Virginia Mason offers an eight-week support group that provides support and education about grief, loss, and life adjustment after the death of a loved one. There is no cost to join, and the group meets two hours each week. We help you better understand all of the emotions you are feeling, and learn about self-care. This support group is an opportunity to reconnect to personal strengths and resources in a supportive group environment. A new group begins quarterly. For more information, complete our Grief Support Group form, or call Joan Strecker at (206) 223-6340.